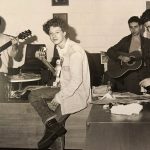 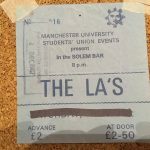 The La’s – 1987, an exhibition documenting the iconic band’s first tour, opens this week in Liverpool, coinciding with the release of a rarities album of the same name and Getintothis’ Denise Hodgkinson was there for the opening night. 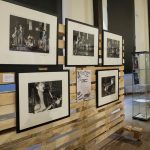 The La’s 1987 exhibition is hosted by the Florence Institute for Boys or ‘The Florrie’, as it is commonly known. 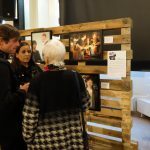 This amazing building, built in 1889 by local philanthropist, magistrate and Mayor of Liverpool, Bernard Hall, who wanted to create ‘an acceptable place of recreation and instruction for the poor and working boys of this district of the city’ and named the building in memory of his daughter, Florence, who died aged just 22. 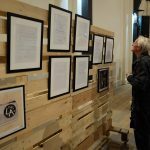 Recently renovated and officially re-opened in 2013, The Florrie is now a multi-ethnic community centre for all ages and abilities. 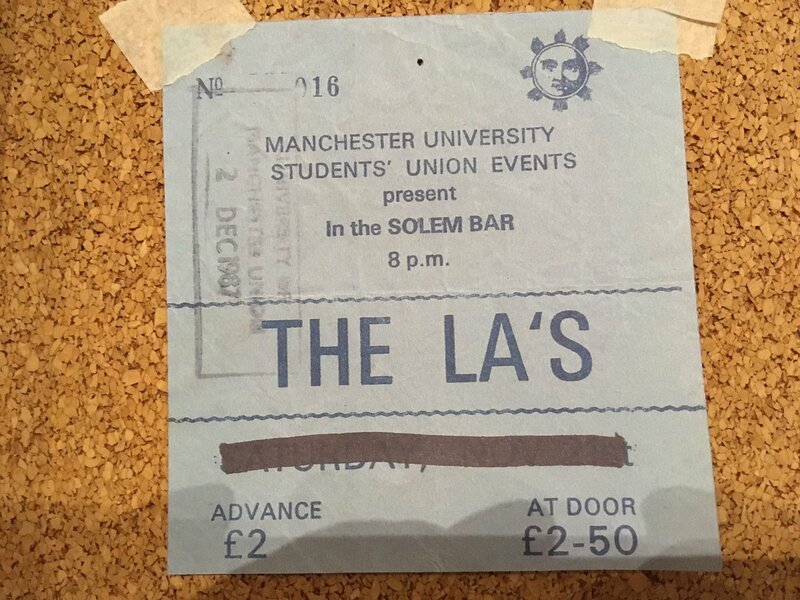 It doesn’t really matter what you think about The La’s, they undoubtedly put Liverpool back on the international map in the 80s, after the demise of Echo and the Bunnymen and The Teardrop Explodes. 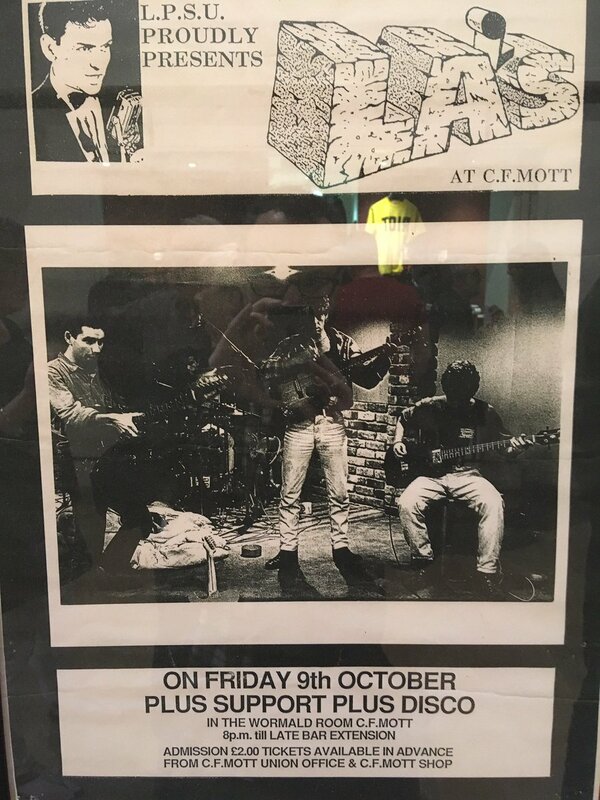 The fact that there is an exhibition mainly dedicated to just one of their gigs is testament to the legendary status of the band. 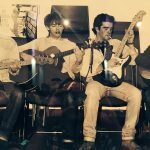 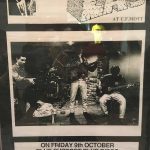 Jake Summerton’s images from the band’s gig at the Limelight Club in London from 1987 were recently rediscovered by Jake’s son. 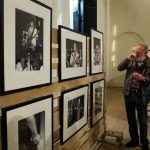 There are also some pictures in the exhibition by Liverpool photographer Mark McNulty from The La’s seminal appearance at the Earthbeat Festival which took place in Sefton Park, also in 1987. 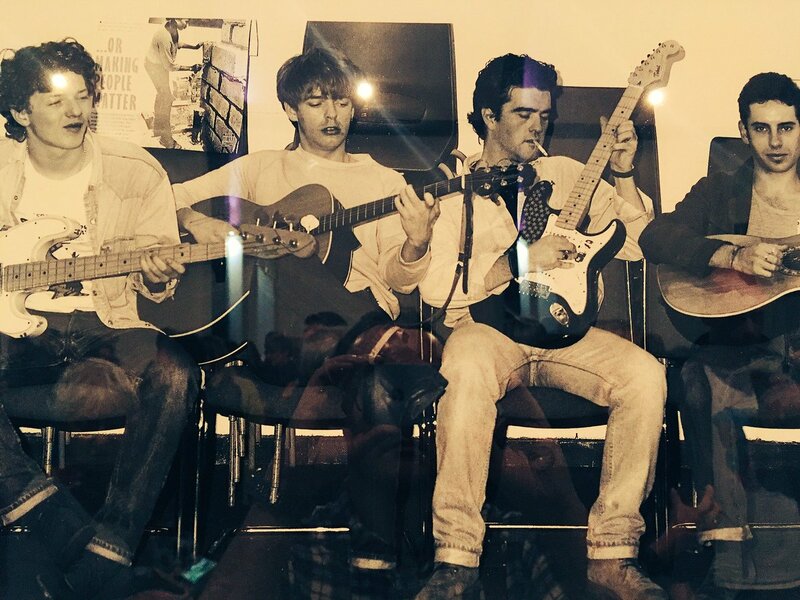 Celebrating thirty years of the band’s pivotal year of 1987, there is also an album to accompany the exhibition on the Viper record label, featuring session recordings from the Flying Picket as well as from Echo and the Bunnymen’s studio, overseen by the late Pete De Freitas and the late Jake Brockman, amongst other rarities. 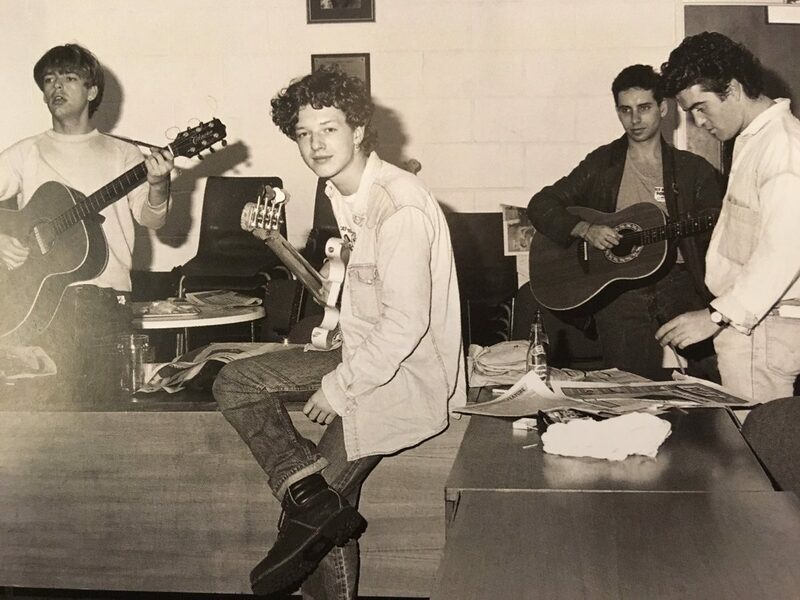 The album is an official release of classic recordings, re-mastered from the original sources and includes previously unreleased material and captures the band at their height. 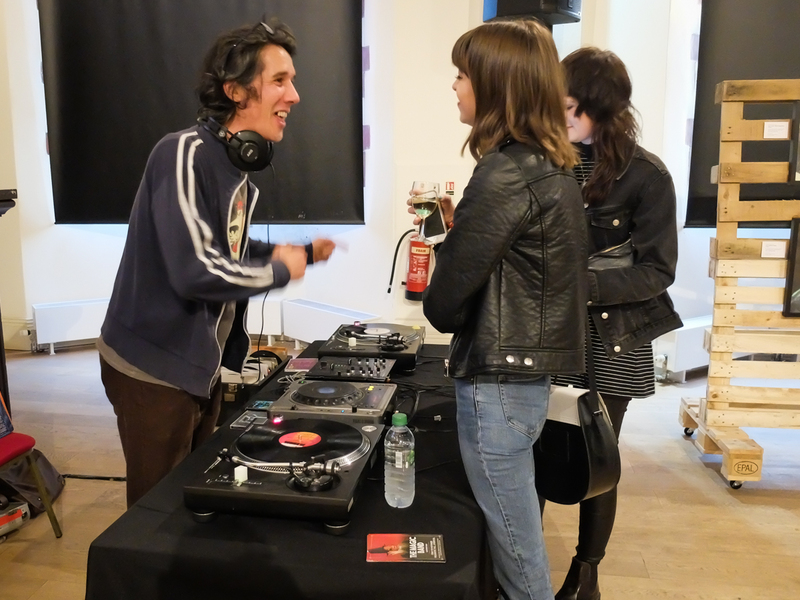 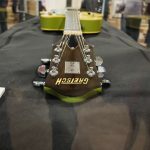 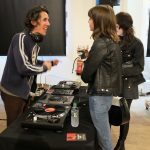 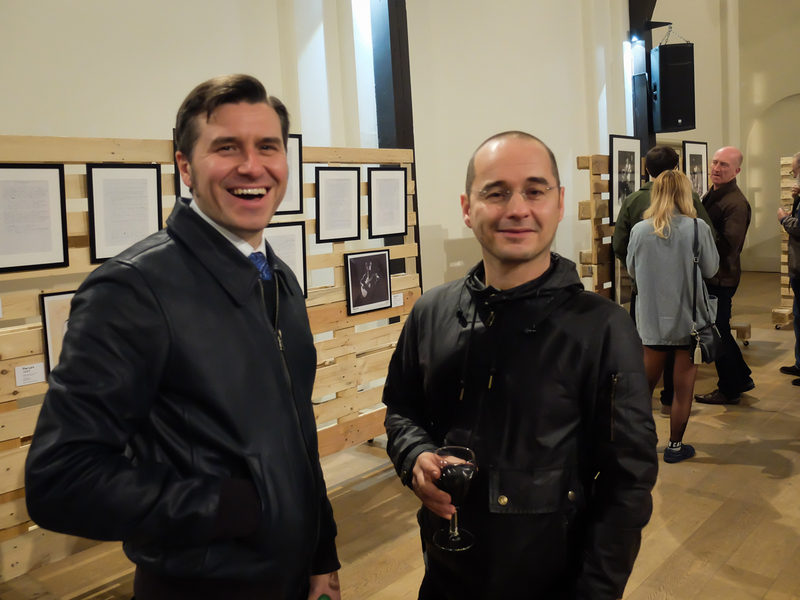 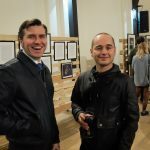 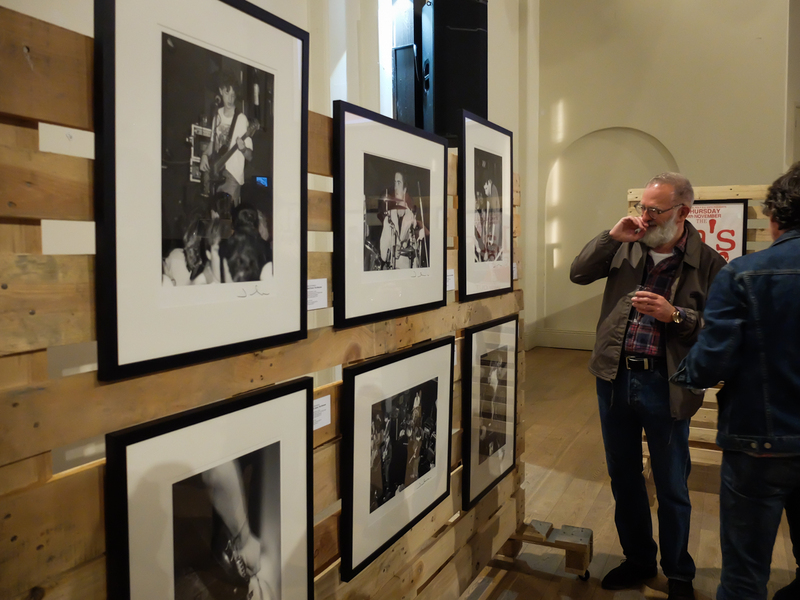 There was a real buzz about the opening night of the exhibition, with a DJ set by Edgar “Summertyme” Jones and appearances by Paul Hemmings and John ‘Timmo’ Timson from the original band, as well as lots of family, friends and fans. 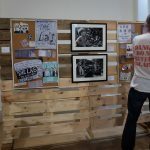 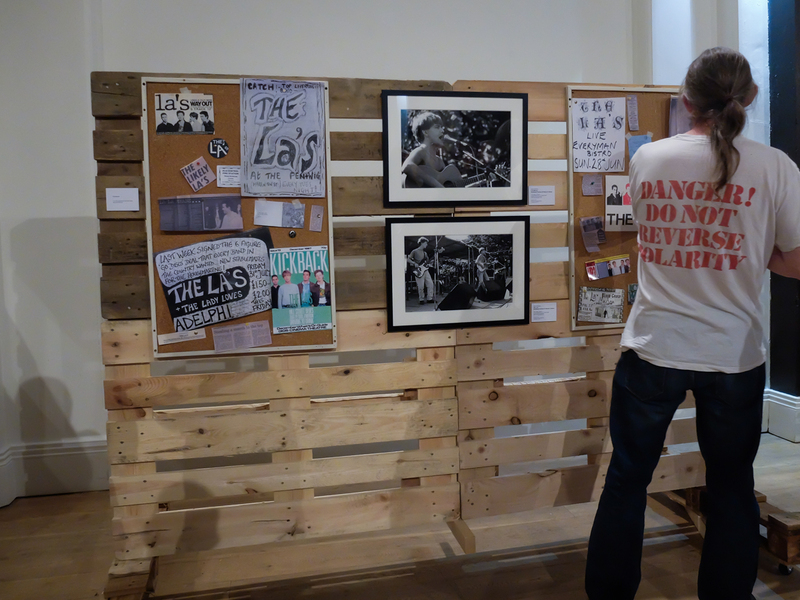 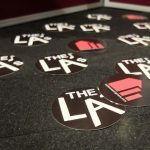 With a surprisingly extensive array of ephemera, photos and memorabilia, the exhibition is a reminder of the time when it seemed that The La’s could take on the world and made you proud to be from Liverpool just because that is where they came from. 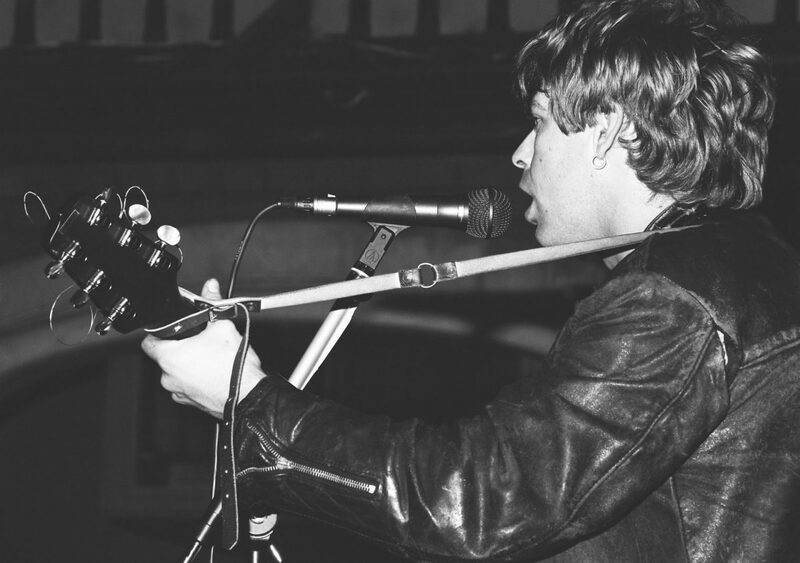 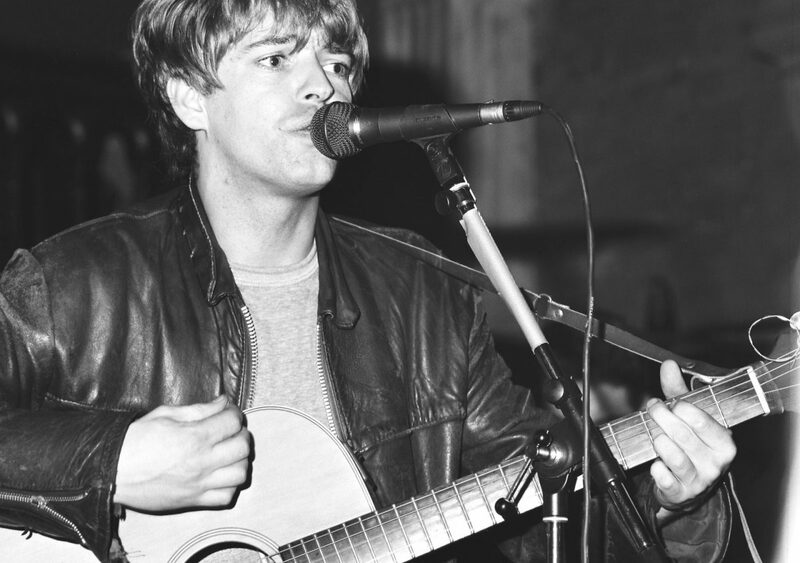 Lee Mavers was the star who could have been but never was, but who became a legend anyway. 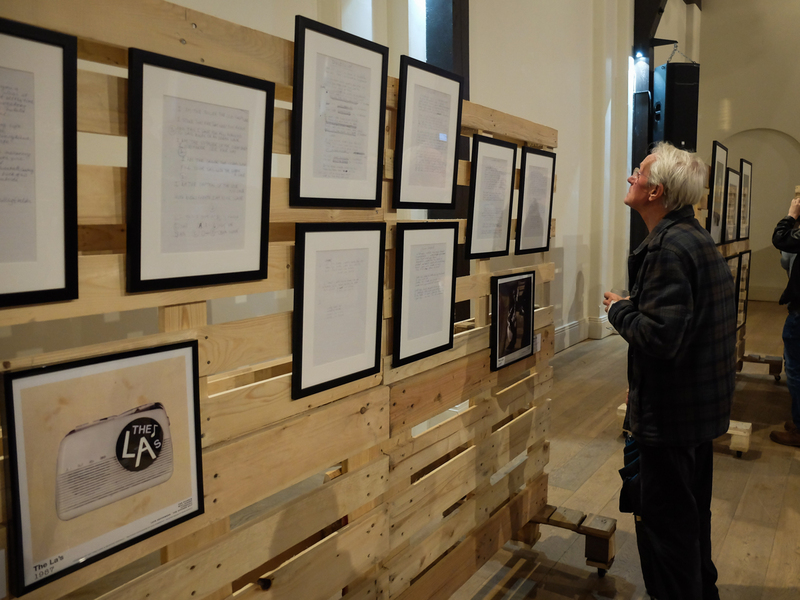 EDITOR’S NOTE: For 36 years I’d somehow never heard of The Florrie. 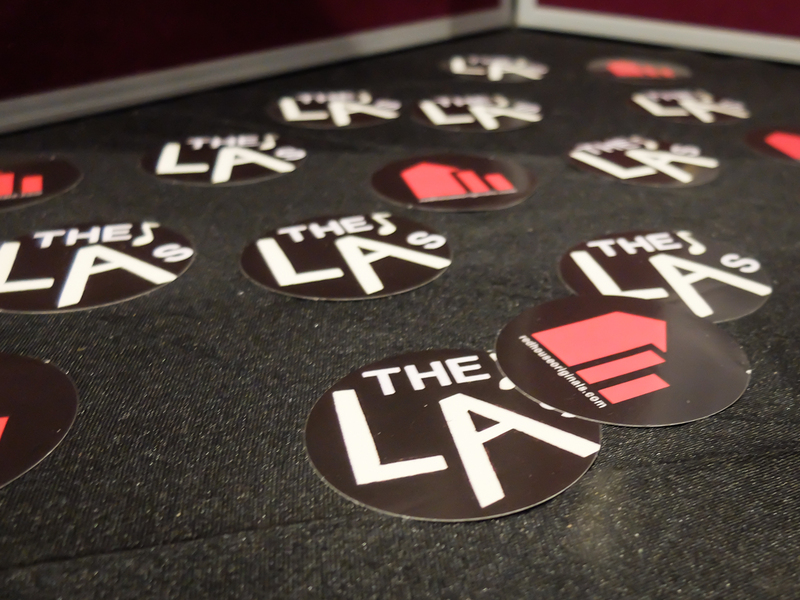 Yet, in the last 18 months, I’ve been there almost a dozen times. 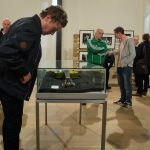 This magnificent building is proving a remarkable platform for the community and the wider cultural arts in Merseyside – and The La‘s exhibition once again underlines its importance. 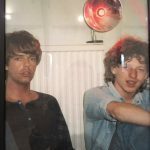 In just under a week it’s transformed from being The Justified Ancients Of Mumu‘s church – with Jarvis Cocker at it’s pulpit to Lee Mavers‘ photographic shrine. 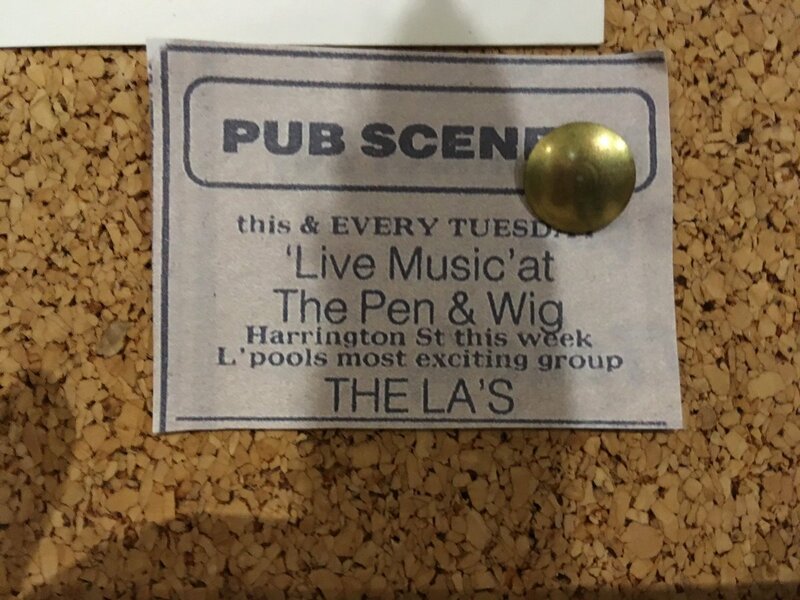 And I can’t really think of a better place for either. 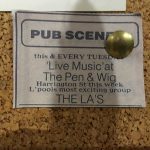 Last night’s opening saw figures from Merseyside music’s past, present and burgeoning future gather in a jovial gathering enriched with humour, stories and the odd glass of complimentary Merlot. Former members of The La‘s were joined by three generations of Powers – while John Power was absent, celebrating his 50th birthday – he was very much there in spirit with his own father walking around with family while son Finlay (he too in rising band The Bohos) among the many in attendance. 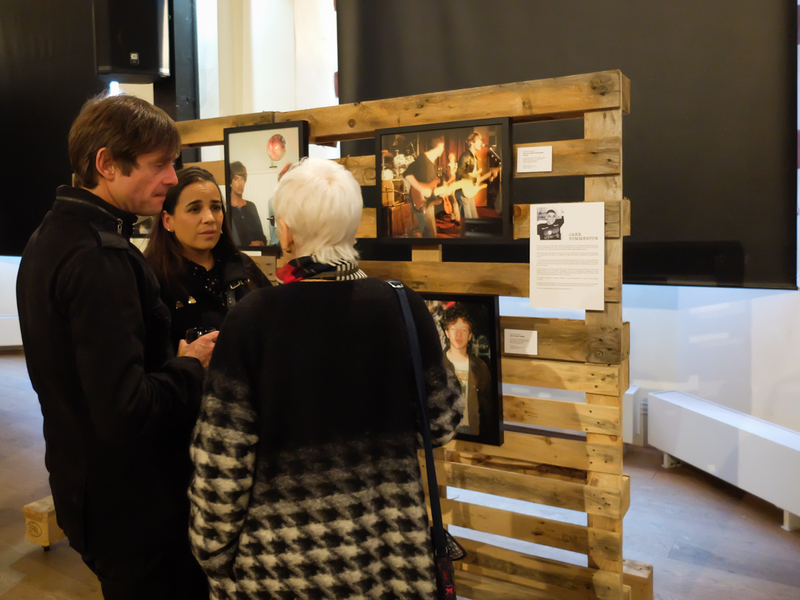 Merseyside music festival bosses mixed with notable Scouse photographers, videographers, writers and many musicians including the likes of Nick Ellis, Candie Payne, Edgar Jones and Matty Shipbuilder – all were evidently impressed by this unearthing of magic dust from one of the very last enigmatic bands to emerge from the UK. 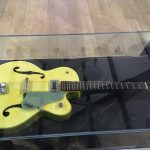 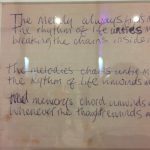 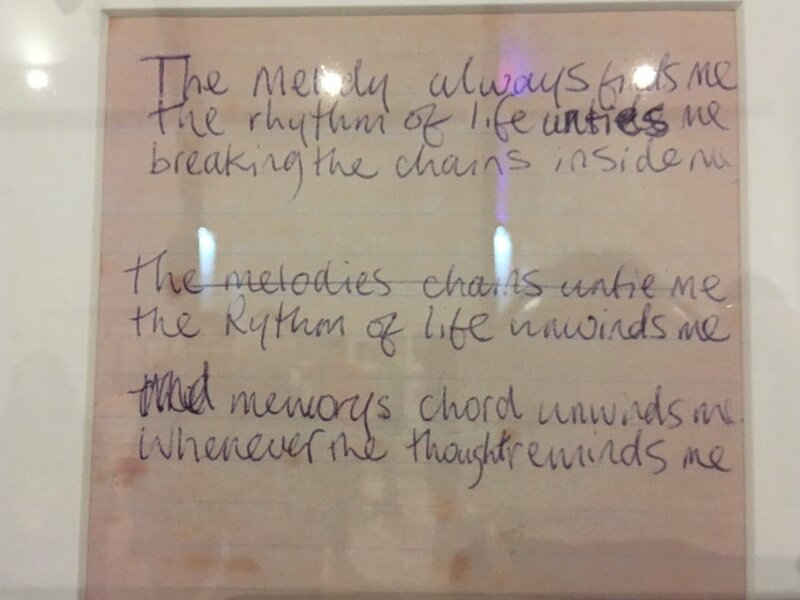 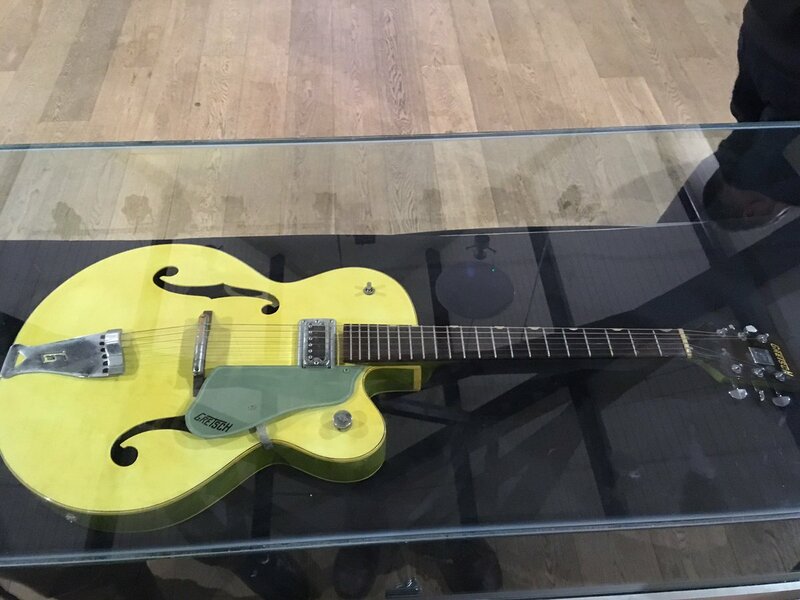 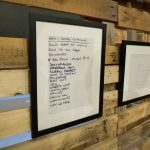 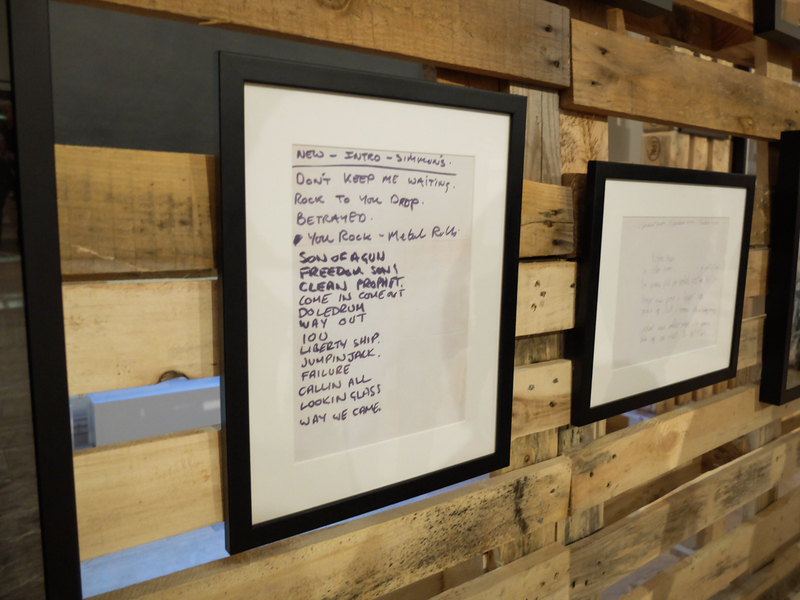 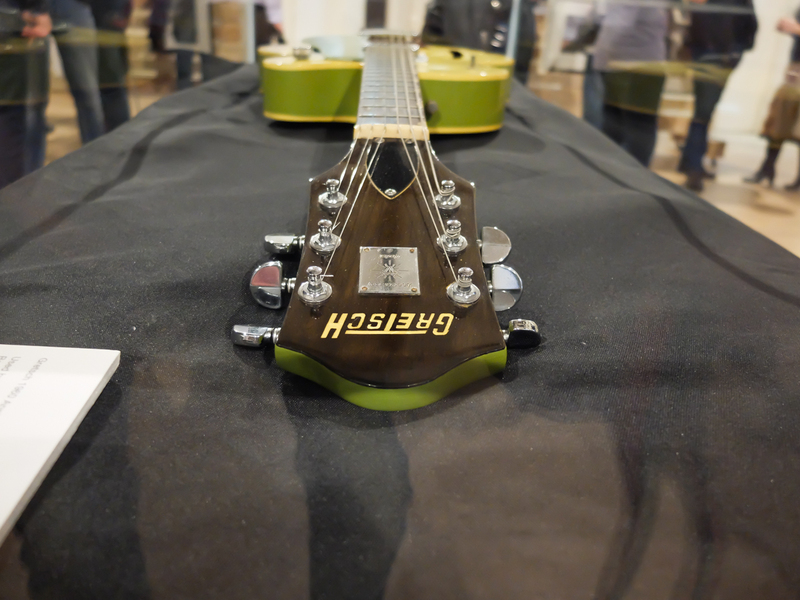 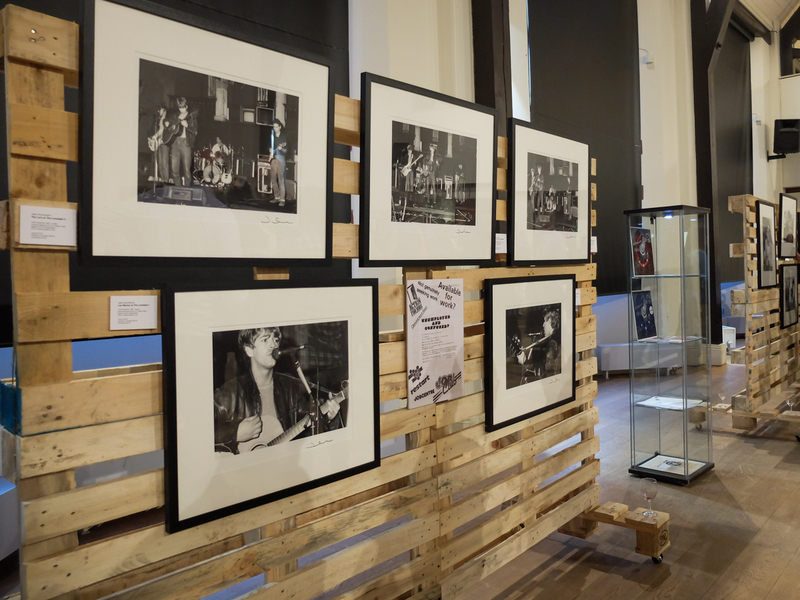 Perhaps that’s why the whole exhibition works so well – The La’s, and more acutely Lee Mavers – know that while their music resonates so evidently with so many, it’s what’s been left unsaid, unwritten and untold which prolongs their legacy. 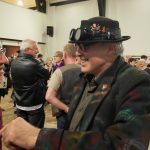 Much like The KLF – venturing into the void and being allowed just a few moments of truth allows your love for them to grow stronger. 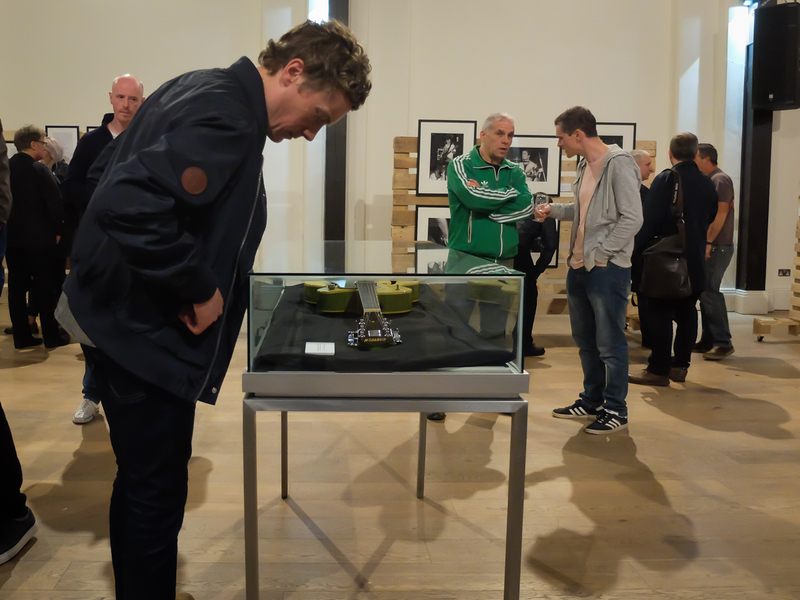 Take a trip to the Florrie and catch a glimpse of some of this magik dust – you won’t want to miss it. 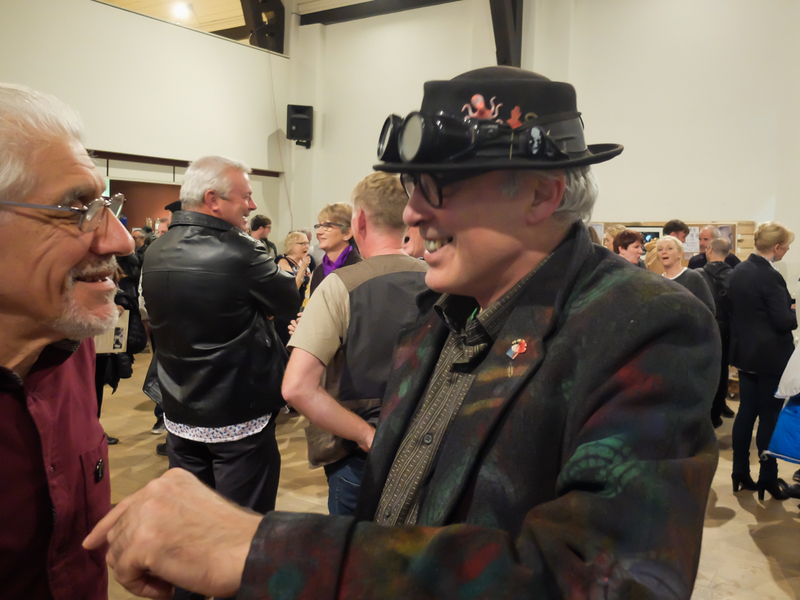 The exhibition opens on September 15 and continues until October 7 when it transfers to the Redhouse Originals Gallery in Harrogate. 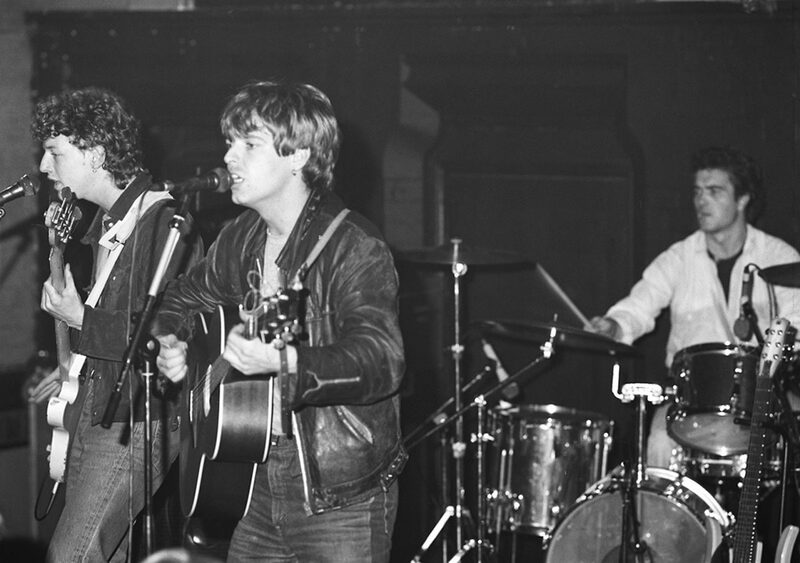 The Florence Institute (The Florrie), 377 Mill Street, Liverpool L8 4RF.